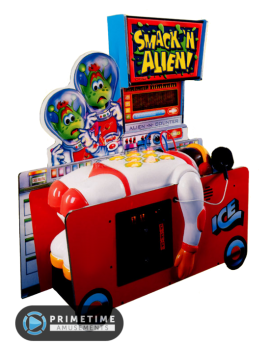 Push The Coins & Cards For Tickets! 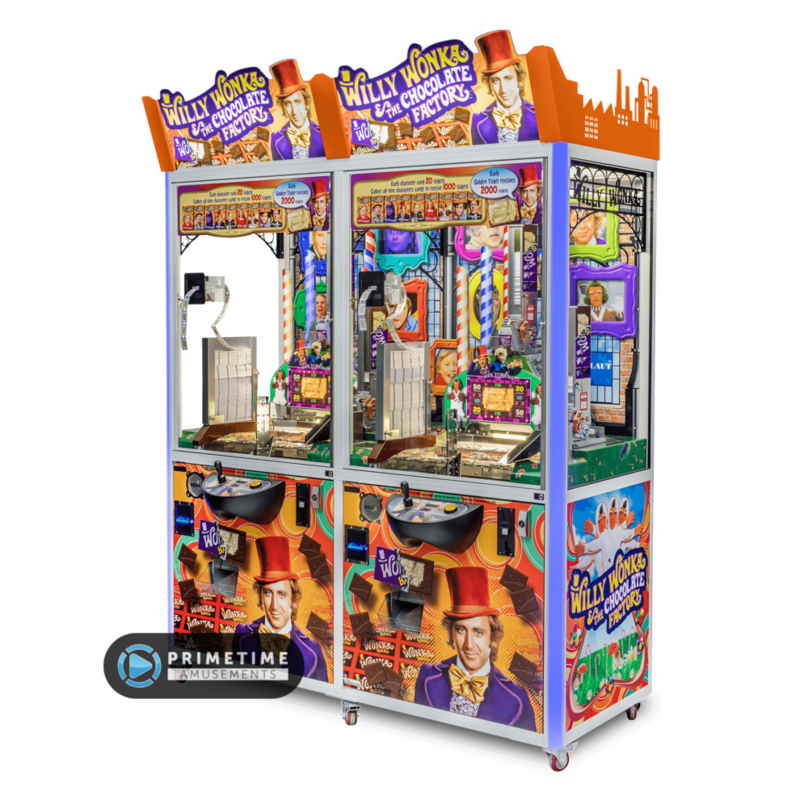 Willy Wonka & The Chocolate Factory is a scrumdidilyumptious redemption game, combining all of these popular elements into one title for a sure-fire high earning hit! 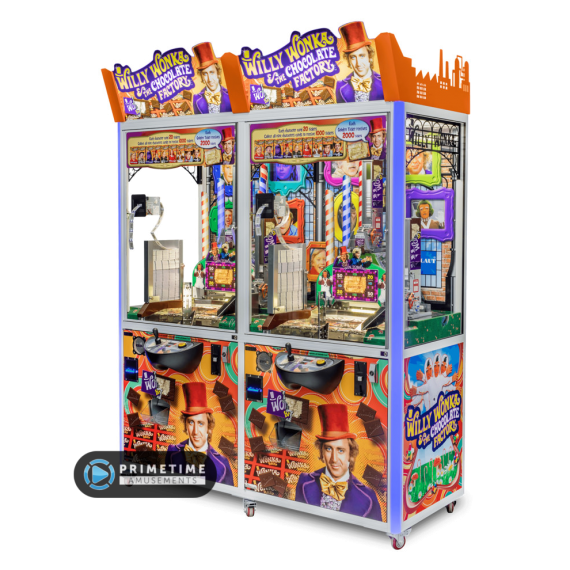 Based on the original renowned film that launched in 1971 with Gene Wilder as Willy Wonka, this game features a timeless license that carries weight all over the world. 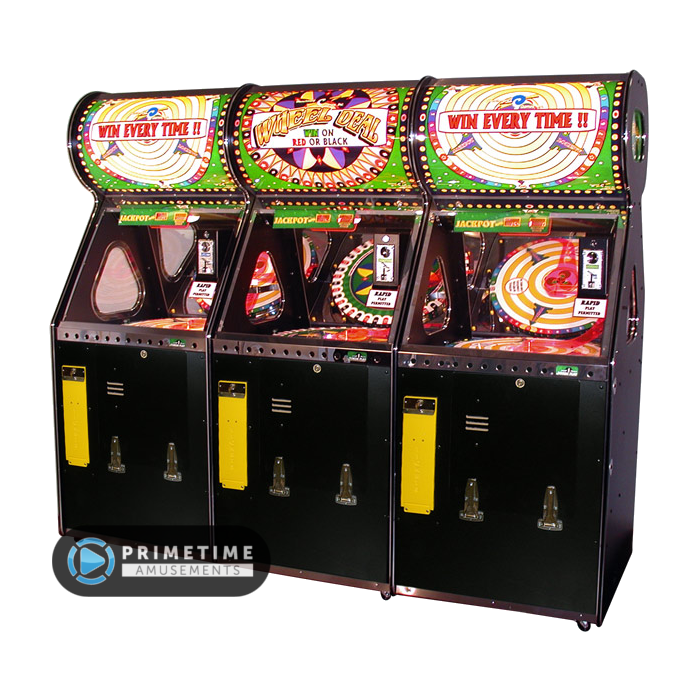 It also features three styles of redemption game play that people everywhere enjoy: it is a coin pusher; a card vendor and a ticket redemption game all in the same package! To make it even more enticing, units are sold as the pair together so that 2-players can enjoy the fun. 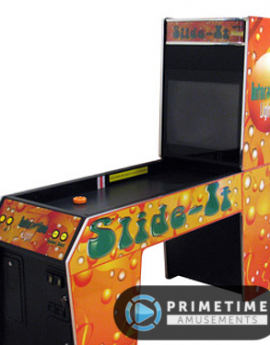 The playfield where the coins are pushed also serves as the card pushing area. 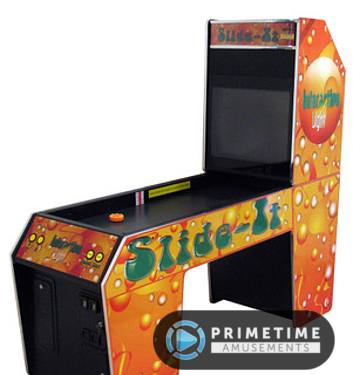 Players uses the joystick to navigate the metal arm that coins are dumped out of onto the playfield. If you are successful in pushing off a card, the card vends to you below. Collect all nine character cards, featuring characters from the film, while winning mercy tickets for dropping coins; 20 tickets for winning a card; 1000 tickets for collecting all nine cards; and 2000 tickets for getting the elusive Golden Ticket. This is one game that will be a top earner in any venue for a long time. What Makes Willy Wonka & The Chocolate Factory Special? 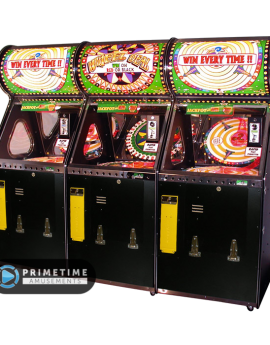 – Combines elements of a coin pusher, card vendor and ticket redemption game into one. 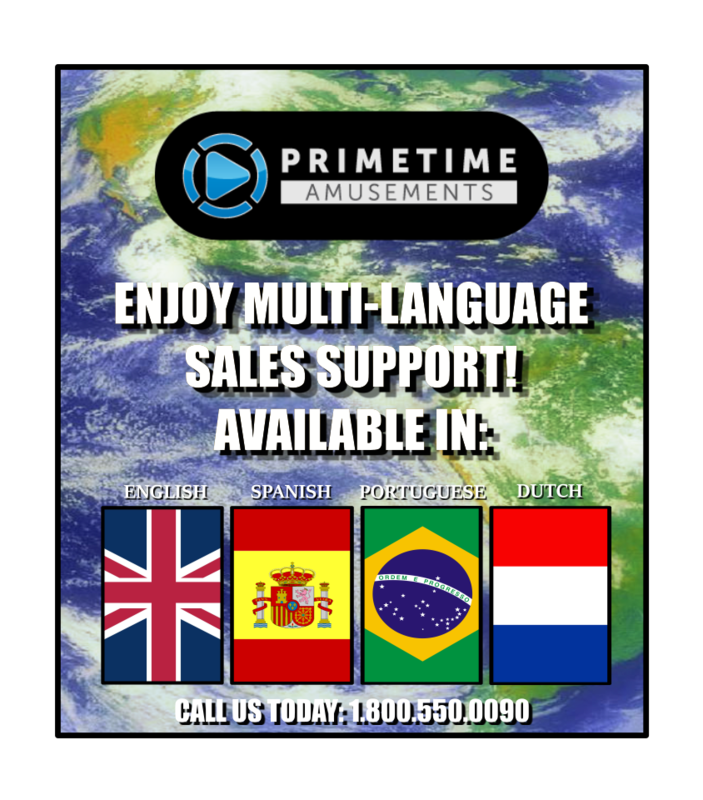 – Please specify at the time of order if you need a card swipe based system or a coin-operated one. 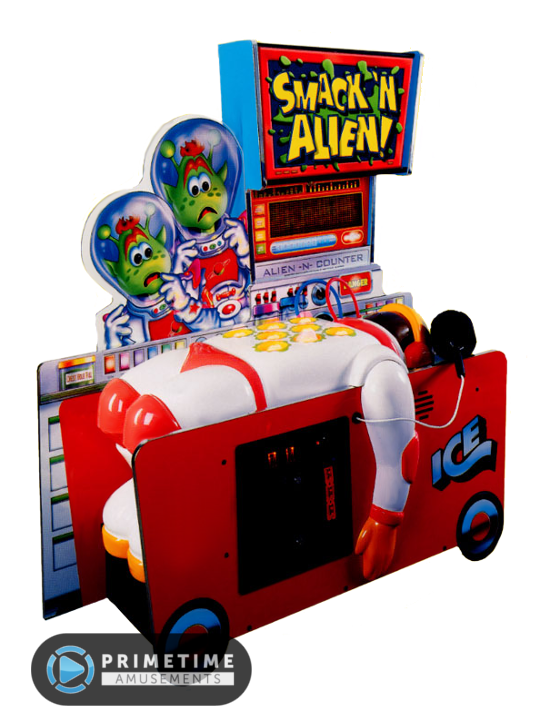 An Advanced Whacker Game With a Fun Outer Space Twist! Installed Dimensions: H: 68″, W: 30″, D: 60″ Weight: 350 lbs.